Mavis never socialised and was labelled "aggressive" by the staff at this residential aged care facility. Yet Sue Hendy managed to get Mavis along to a regular 4pm session of cards. How? 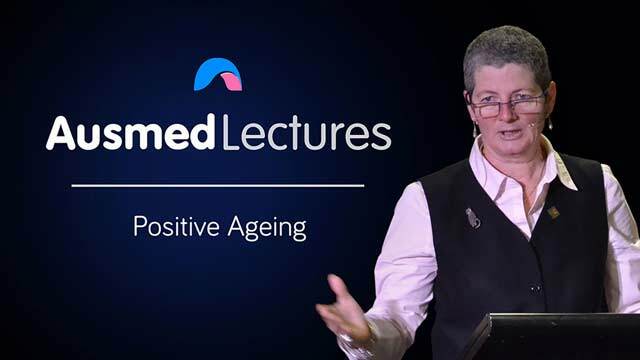 This heartwarming talk will expand your view on what it means to 'age positively' and challenge you to think about how you perceive growing old. Sue Hendy has a background of more than three decades of working as an advocate for older people. This has culminated in her present role as CEO at Council on the Ageing Victoria, which she has held over 13 years. Sue has previously worked in residential aged care, local and state government; predominantly with a focus on older people, but has also focused on women, people from non-English speaking backgrounds, people with disabilities and indigenous Australians. Sue is a regular speaker at conferences and workshops within Australia and overseas, workshop facilitator and is a regular guest on radio including ABC, 3AW and Golden Days Radio. Sue is also on many Taskforces, state committees and reviews relating to ageing and ageing well. I found the references to be very beneficial. Upon reflection it was again reinforced to me the importance of assessing the elderly person , their co morbidities and how this woud impact on their wound healing and management . Really good presentation and the lecturer was excellent. Really engaging and informative .